I am motivated by how research can contribute to social justice and bring about positive social change. Specifically, I want to do research which simultaneously promotes gender equality and religious inclusion/diversity. Marginalisation relating to faith, gender, age, sexuality, ethnicity, disability and nation negatively affects many people. It is the responsibility of researchers to uncover this, not only to advance social justice, but also to reshape society, policy and research. 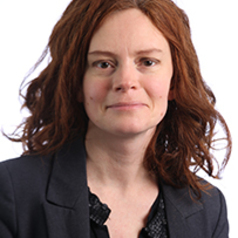 Kristin Aune joined Coventry University in 2014, having previously taught on sociology and youth work and theology programmes at the University of Westminster, Ridley Hall Cambridge and the University of Derby. At Derby she taught sociology for nine years, becoming a Reader in Sociology and Director of the Centre for Society, Religion and Belief. She has undertaken pioneering work on gender, religion and feminism. Her book on single women’s marginalisation in the church led to a PhD project on gender in evangelical Christianity, the findings of which are published in journals and books. Fascinated by how women’s changing lives are affecting their faith commitments, she co-edited the book Women and Religion in the West: Challenging Secularization, which traces the disaffiliation of women from religious institutions, exploring differences between Christianity, Islam and alternative spiritualities. Her book with Catherine Redfern, Reclaiming the F Word, was a ground-breaking study of the resurgence of feminism in twenty-first-century Britain and attracted major public attention. Several articles about feminists’ views of religion and spirituality emerged, exploring why feminists are less conventionally religious but still engaged with diverse religio-spiritual practices. Recently, she was Co-Investigator on Christianity and the University Experience in Contemporary England, a three-year AHRC & ESRC Religion & Society programme project with Durham and Chester universities exploring Christian students’ experiences of university and how faith shapes, and is shaped by, university life.